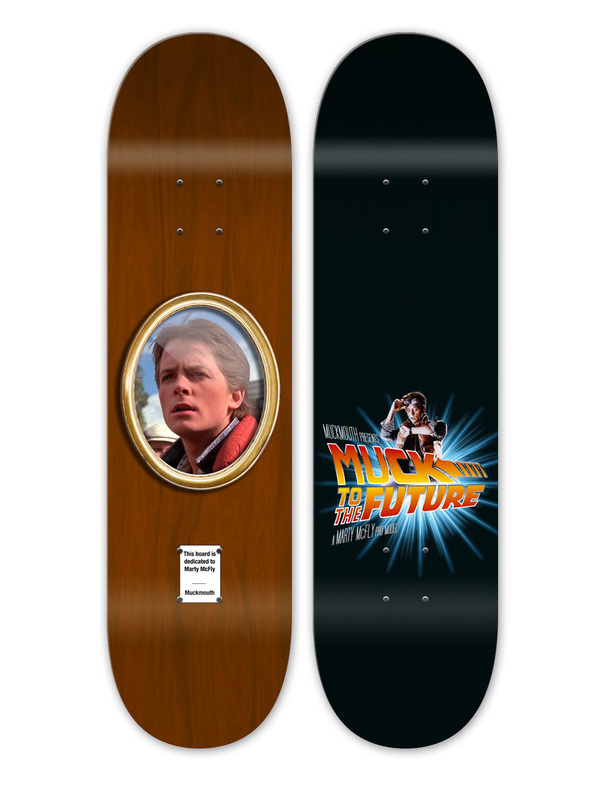 Arguably the most influential skateboarder of all time, Marty McFly now has a tribute skateboard named after him. The Marty MuckFly pro. Marty inspired millions to skate in 1985 and began many a career so we salute him with this board. Thank you. Out now, the Marty MuckFly pro model in 7.75, 8, 8.25 and 8.5 inches. These collectors pieces are $80 NZ with free grip.